Last Updated: April 3, 2019 | Subscribe to our weekly newsletter! You’ve got a hot tub full of water, and you’re ready to get your soak on. Whoa, hold on there! Are you sure you’re ready? Do you have everything you need to care for your spa? We’re not talking cup holders and cute bathing suits. We mean the hot tub supplies that will help you take the best possible care of your hot tub, from the water, to the shell, to the (spoiler alert!) cover. If not, there’s no time like the present to stock up. Of course you have a full complement of spa chemicals on hand to keep your hot tub water clean, clear, and sanitary. But it takes a lot more than that to keep your spa clean and running smoothly. You know you need to drain and clean your hot tub at least once a quarter. But what about those times when debris falls into your spa, but it’s not enough to warrant a full deep clean? That’s when it’s time to break out the spa vacuum. 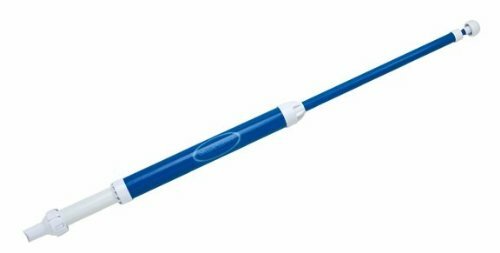 Use it to pick up sand, leaves, or whatever else might’ve made its way into the water, and save yourself a lot of work and time. 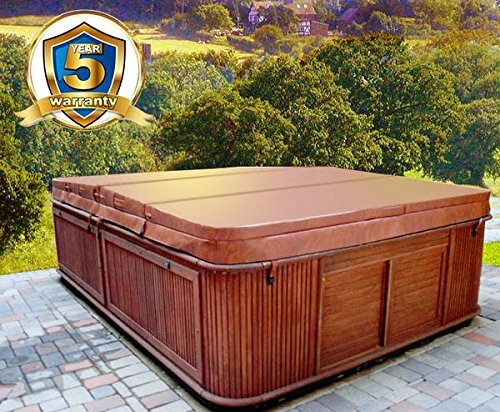 If you’re leaving your hot tub uncovered when you’re not using it, you’re losing four important things. First, water, chemicals, and heat, all of which disappear through evaporation. And those three losses add up to the fourth: money. Keep the first three things in your hot tub, and the fourth one in your wallet, by using a hot tub cover. It has other benefits, too, like keeping things out of your spa that don’t belong there, and keeping you from having to wait for the water to heat up before a soak. You know what? Hot tub covers are heavy. They get heavier with time, too, as the core accumulates and holds water. Sure, you could ease your aching back with a nice, long soak. 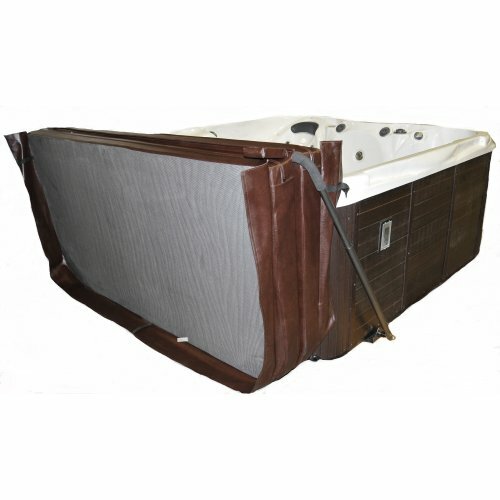 But you could go one better by treating yourself to a hot tub cover lifter. Choose one that relies on manual power, or one that’s fully automated. Either way, you’ll be saving effort, energy, and a pulled muscle or two. Eeeeewww! What is that stuff floating on top of your hot tub water?! What you take into the water stays in the water, including body oils, hair conditioner, and makeup. Mix all those things together in a warm tub of water, and you’ll eventually get a layer of hot tub scum floating on the surface. Blech! After it’s there, your spa will need a good cleaning. But to keep it from accumulating and turning your hot tub into a grimy soup, soak up that scum and grime with floating sponges If you click this link and make a purchase, we earn a commission at no additional cost to you. . Don’t have any? Tennis balls work too If you click this link and make a purchase, we earn a commission at no additional cost to you. . And don’t forget to at least rinse off before you step into the hot tub to keep as much of that icky stuff out as you can. Any time you have a large volume of water putting pressure on, well, anything, the potential for leaks increases. Your spa is no exception. Even if you take the best care of it, you may still encounter a hot tub leak at one point or another. The key to keeping a small leak from turning into a gusher is to seal it up as soon and as quickly as possible. 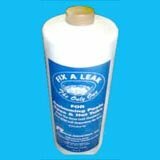 To do this, make sure you keep hot tub leak sealant If you click this link and make a purchase, we earn a commission at no additional cost to you. 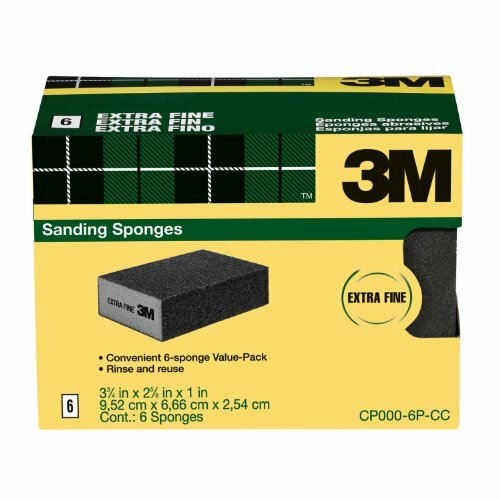 on hand, and replace it as soon as the materials are used up. What if it’s not an actual leak, but just cracks or scratches in your hot tub shell? Depending on the severity, you’ll either need to fill it and buff it out, or just buff it out. What you use to fill a crack will depend on what your hot tub shell is made of. 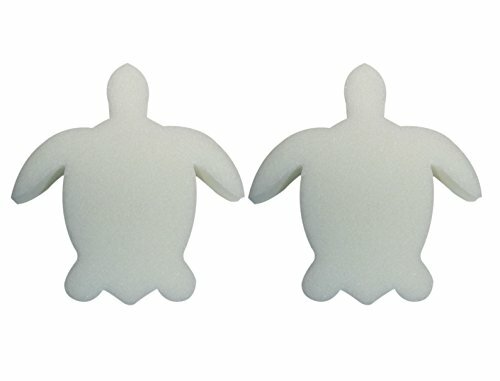 They’re usually composed of acrylic, vinyl, or rotomolded plastic. When buffing out a scratch, be sure to use fine-grit sandpaper If you click this link and make a purchase, we earn a commission at no additional cost to you. . You want to smooth it out, not create a whole bunch of new scratches. How do you keep your water balanced, prevent algae, and make sure there’s enough sanitizer in the water to prevent illness? You must test your hot tub water on a regular basis. No, actually, it’s best to do it frequently. How you do this is really a matter of preference. You can use test strips If you click this link and make a purchase, we earn a commission at no additional cost to you. , which are quick and easy. 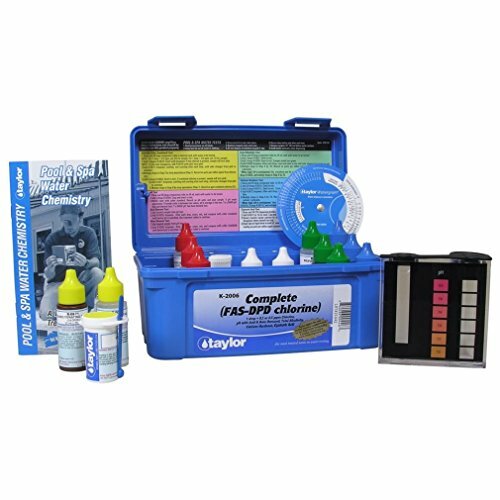 But if you’re a Bill Nye fan, and want to feel like a scientist in a lab, you can try a liquid test kit If you click this link and make a purchase, we earn a commission at no additional cost to you. . Either way, stay on top of water balancing to keep everything—and everyone—clean and healthy. Sometimes, all spa filters need is a good hosing off. When they’re really dirty, you can clean hot tub filters with a special cleaner If you click this link and make a purchase, we earn a commission at no additional cost to you. . But when the filter is just worn out and isn’t doing its job anymore? It’s time to replace it. 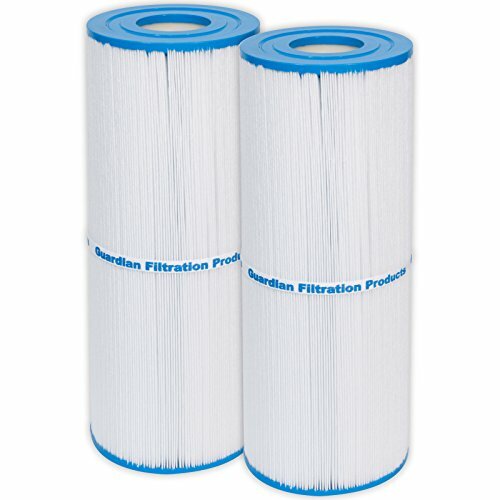 Filters don’t spoil, so keeping one or two in your spa care toolkit means as soon as you find your filter failing, you can fit a new filter in If you click this link and make a purchase, we earn a commission at no additional cost to you. fast. Don’t get caught with your bathing trunks down. Even if you only use them once in a while, having all the hot tub supplies you may need readily available will save you trips to the store, allow you to address potential problems as soon as they arise, and help you keep your spa cleaner than it’s ever been. And if you only use your bathing trunks once in a while, well, that’s up to you. No judgment. There are some basic rules you should follow when doing so. We've outlined all the steps you need to take to properly add chemicals to your hot tub. Learn the truth about calcium hardness in a hot tub and how you can adjust your calcium levels so your water stays clean and clear. If you aren't a fan of bromine and chlorine in your hot tub, these alternative sanitizers will give you more cleaning options for your water. In order to maintain a clean and clear hot tub, you need to lean how to test hot tub water properly and accurately with this simple VIDEO tutorial. Keeping your hot tub chemistry in check is not only important for your tub, but also for the people in it. 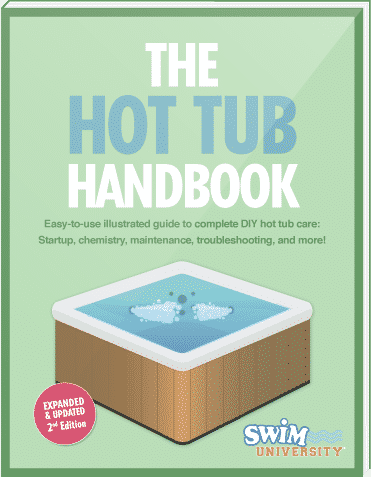 Check out our complete guide to hot tub care.